Agriculture (ISSN 2077-0472) is an international, scholarly and scientific open access journal publishing peer-reviewed research papers, review articles, communications and short notes that reflect the breadth and interdisciplinarity of agriculture. And there is no restriction on the length of the papers. The aim of Agriculture is to publish research on the science and technology of crop and animal production, biosecurity, and postharvest handling of produce, agricultural technology, management of the natural resource base for agricultural production (land, soil and water), rural management and agricultural development, and agriculture in changing environments. Accordingly, the scope of the journal for the consideration of submissions is set out in more detail below. Crop production: grains; legumes, fruits; vegetables; flowers; cotton. Rural management and agricultural development. 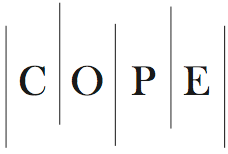 Agriculture is a member of the Committee on Publication Ethics (COPE). MDPI takes the responsibility to enforce a rigorous peer-review together with strict ethical policies and standards to ensure to add high quality scientific works to the field of scholarly publication. Unfortunately, cases of plagiarism, data falsification, inappropriate authorship credit, and the like, do arise. MDPI takes such publishing ethics issues very seriously and our editors are trained to proceed in such cases with a zero tolerance policy. To verify the originality of content submitted to our journals, we use iThenticate to check submissions against previous publications. MDPI works with Publons to provide reviewers with credit for their work.